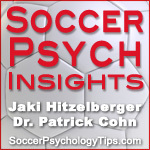 Welcome to episode 14 of Soccer Psychology Insights, your mental training podcast. On this episode, Jaki Hitzelberger, MA is interviewed by Performance Coach Gary Christopher, owner of Athletic Performance Academy. Gary and Jaki talk about the importance of mental toughness for soccer players. We find that a lot of coaches and players know the importance of mental toughness in soccer, but aren’t sure how to incorporate the mental part into their training. 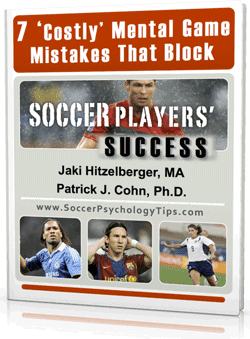 Listen to the interview using the player at the bottom of this page to learn more about mental toughness in soccer.